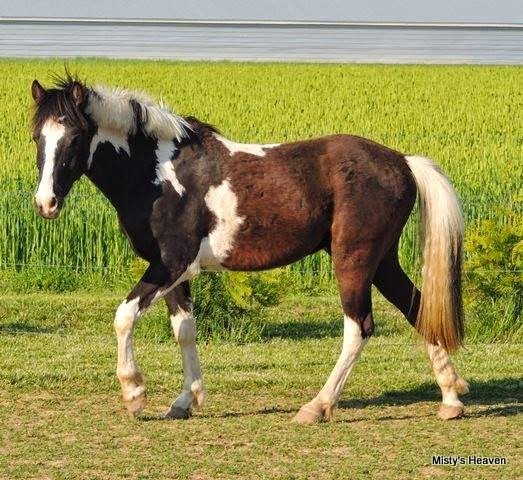 Misty's Black Out is the second of Misty's Irish Mist's offspring to share his black pinto coloring. He was born in Massachusetts on John and Della Rice's farm. He was later sold to Kendy Allen and joined his full brother Misty's Black Mister. Black Out has been trained under saddle and is a sucessful show and lesson pony.